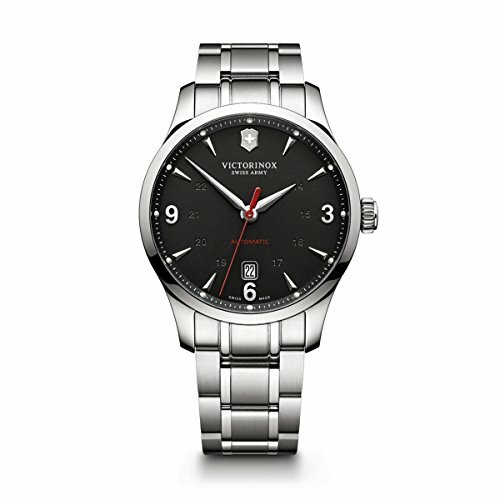 This Victorinox watch has a stainless steel case and is fitted with a metal strap. Inside the case lies a quartz chronograph movement and the watch features a sapphire crystal. The watch is 10ATM. This means the watch is suitable for swimming.